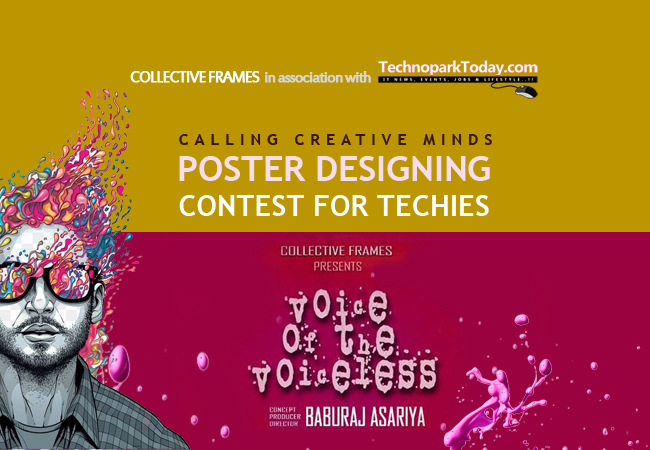 TechnoparkToday.com>> Collective Frames in association with TechnoparkToday.com is conducting a poster designing contest for next project of the renowned techie director Baburaj Asariya – Voice of the voiceless!! Voice of the voiceless is a theme raised and directed by Baburaj Asariya under the banner Collective Frames. The contestants will have to make character posters and a thematic poster. The winner will be awarded with a cash prize with momento during the launch/ Releasing day and the poster designer title for the project voice of the voiceless !! The contestants will be given all the necessary inputs for designing. The theme of Voice of the voiceless is a person’s initiative to protest against increasing child abuse in the society, and eventually that is taken up by common man through which the working system is forced to take a proper action!! Put in your thoughts for this social theme #voiceofthevoiceless.